Last winter Dustry developed a cough. 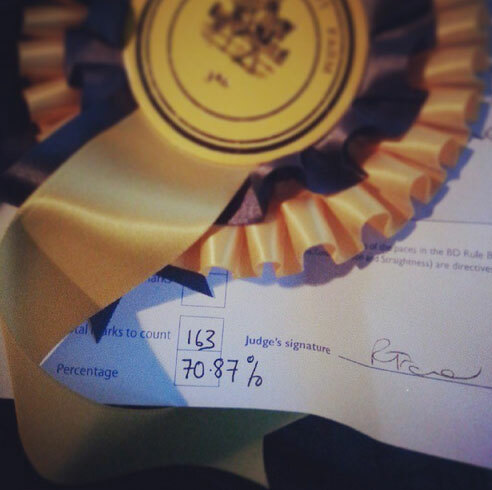 It began after he went onto his winter routine in October (stabled at night and out during the day) and I first noticed it when I was riding him. At the beginning of a schooling session when I asked him to go from walk to trot for the first time he would trot off and then after a few strides drop his head down and cough. I would let him take the rein and work long and low for a few circles until he had cleared the cough and then he would work fine. This cough then started to happen when he was stabled, and I noticed him coughing in the mornings when I arrived to muck out. Thinking that this was ‘just a cough’ that he would shake off and probably a result of a change in routine by being stabled again I bought him a cough ease supplement to see if it would help. After a few weeks this didn’t seem to be helping at all and the cough was getting worse. Realising that it was more than ‘just a cough’ and having tried the obvious off the shelf remedies I called the vet out to examine him. The vet asked me to lunge him in trot and canter so that his breathing rate was increased and then listened to his lungs and airways. He diagnosed him with what’s now called (RAO) Recurrent Airway Obstruction and was previously known as COPD (Chronic Obstructive Pulmonary Disorder). Put simply he had developed an asthma like condition that was being brought on by hay and straw spores. How does a spore allergy affect a horse and cause RAO? When a horse breathes in spores which irritate its lungs a cycle of inflammation begins. The allergic reaction to the spores causes the smaller airways to swell up, which narrows them, trapping air in the lungs and making it harder for the horse to exhale. You might notice the horse make a wheezing sound or that it develops a heave line along its flank due to the extra effort needed to breathe out. Mucus production also increases and in some cases it can be quite thick, look out for pale yellow mucus splatters on the stable floor and walls if your horse is coughing a lot. This extra mucus can also contribute to the blockage of the small airways. 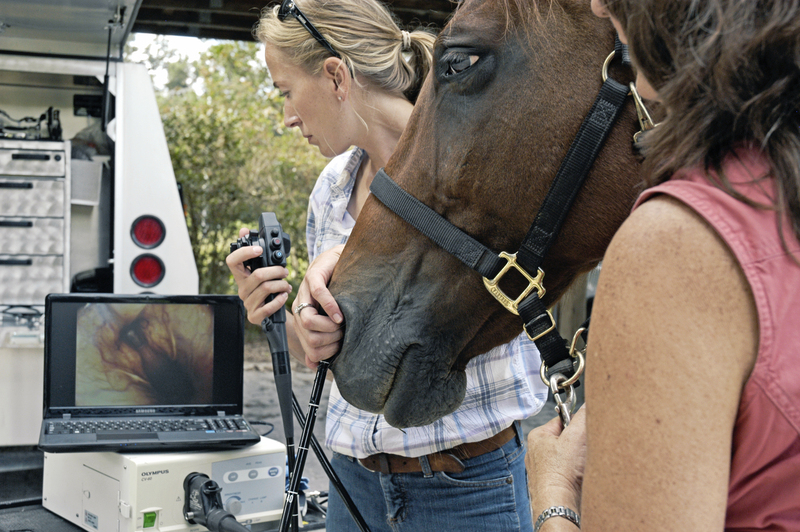 Your horse may sound like it is trying to cough something up, and this can also lead to a nasal discharge. At the time of diagnosis Dustry was being fed un-soaked hay in a net, and was bedded down on a dust extracted chopped straw and shavings mix – the worst of both worlds for a horse who had developed his condition! Feeding dry hay from a net makes a horse tug at the hay to eat it and in turn as they tug at it this releases thousands of hay spores into the air like a cloud around the net, filing their breathing space with airborne spores. The straw bedding mix despite being dust extracted also contained straw spores which irritated his lungs too. I had been thinking that dust was causing his cough and hadn’t given spores a second thought! Dustry had been on this bedding and hay combination since I bought him as a 3 year old, and until last year he had never had an allergy or respiratory problem of any sort. Much like myself who first developed asthma and a range of exciting and itchy skin allergies at the age of 21 (thankfully only very slight asthma now remains) he was a late bloomer when it came to allergic reactions! Equine allergies can take months, or even years to develop. 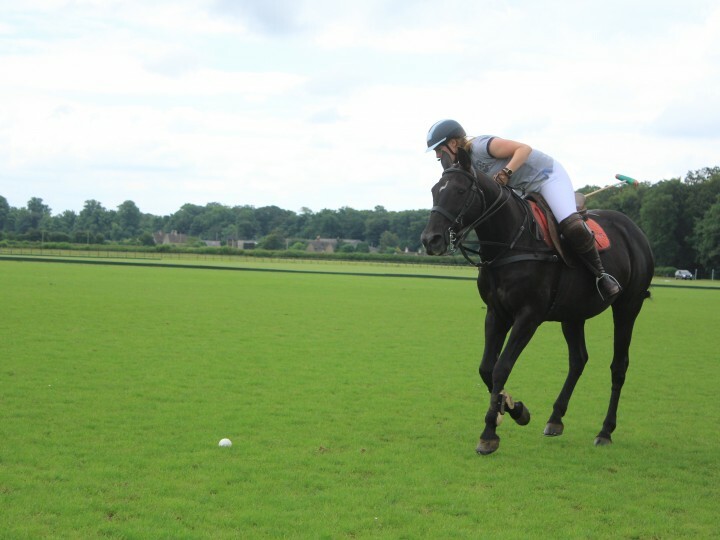 A horse that has never been allergic to anything before can develop an allergy without warning. 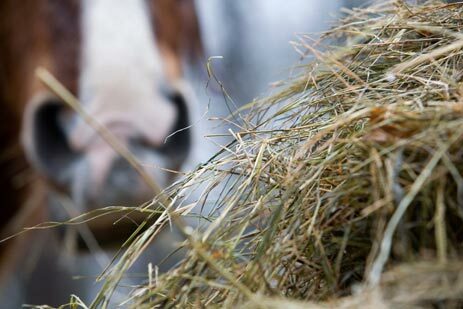 A horse’s age, gender, or breed is not a significant factor when it comes to allergies, and any horse can come down with allergies at any time in its life. The best way to manage a spore allergy like this is to manage the environment the horse is in, for Dustry this meant swapping him onto cardboard bedding (The Green Bedding Company make fab clean and spore free shredded cardboard bedding) and steaming his hay. I tried for a little while with a home made steamer set up (plastic feed bin and kettles of hot water) but this wasn’t producing a consistently steamed net of hay so I raided my savings (ouch!) and bought a Haygain steamer, which is simply fabulous and gives me great peace of mind knowing that his hay has been steamed at such a high temperature that then end result is 100% spore free forage – phew! The best thing you can do is to keep the horse out in a field 24/7 but as this is simply not viable I had to find the next best solution which is to ensure that he spends as long as possible in the field when he is on his winter routine and that when he is stabled he is in a well ventilated stable away from any stored hay or straw. As luck would have it we have just had some new stables built at the yard which have fantastic ventilation and as soon as they are ready Dustry will be moving into one of those. In addition to all this just like I have to take my brown ‘preventer’ inhaler during the winter months to help my asthma he has a nebuliser through which he can breathe in vaporised drugs. He is very well behaved when it comes to wearing his nebuliser and only occasionally tries to bash me round the head with it or rub it off against the wall!!! He has 1.5ml of saline and 1.5ml of medicine in each treatment and this takes a mere 4/5mins to vapourise and be breathed in. Once visible vapours are no longer being produced then the ‘blue nose’ can be taken off, rinsed clean and left ready for the next time. Some horses with this condition may have an inhaler instead but this is trickier to administer as you need to time the squeeze of the inhaler with the inhale of the horse. 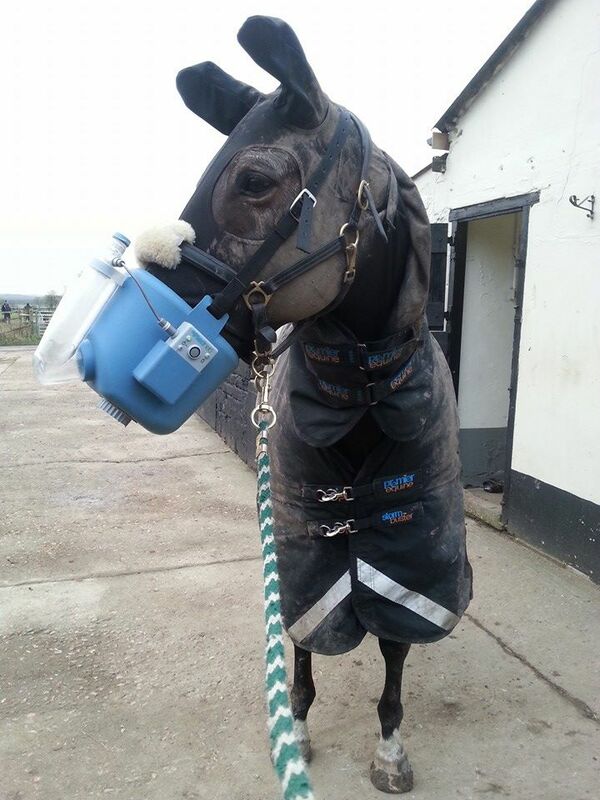 In the dark winter months when horses are heavily rugged and it’s dark I thought this wouldn’t be a particularly efficient way to treat him so opted for the nebuliser instead. I’m pleased to say that these changes to his environment coupled with the regular nebulising is keeping this condition under wraps. He only very very occasionally coughs now in the winter months and that is typically when we have had a very sudden drop in temperature as external factors such as cold weather can also exacerbate the condition. I know from my own experience that breathing in cold air when it is minus degrees can be hard for me so I understand how that can impact on him too. Thankfully when turned out in the summer 24/7 this level of management and medication is not needed, and all I need to do is steam any hay he is fed and he’s happy as Larry. With the nebuliser he doesn’t need it in the summer months but if he did then I would also need to keep track of competition dates like I do in the winter and make sure that I switch to saline only inhalations a few days prior to a competition so that he doesn’t test positive for drugs! When competing in affiliated competition some governing bodies require a letter of consent for use of saline nebulisers at an event, but a quick call and these can be easily arranged. 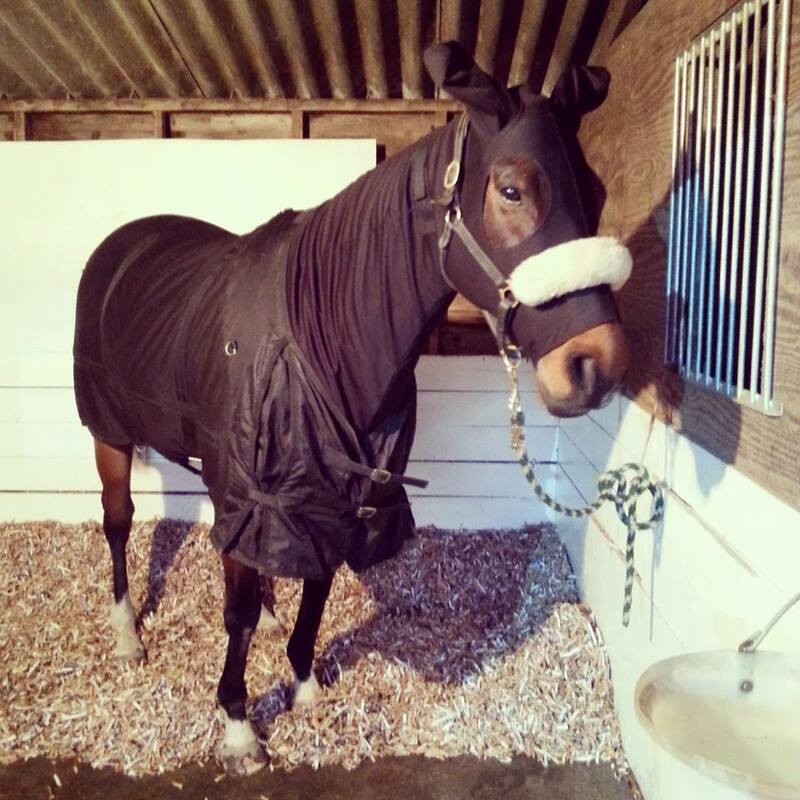 When he was diagnosed with this last winter and I had to make big changes to his management it did feel like there was a lot of hard work and expense involved, but now that steaming hay, cardboard bedding and nebulising him is part of every day life it fits into the daily winter routine pretty easily. 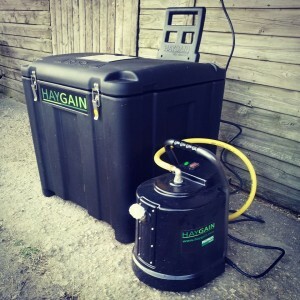 Time saving measures such as buying a timer plug for his Haygain have also really helped because that means I can load it up with haynets and set a timer for it to have the hay steamed and ready by the time he comes back into his stable. 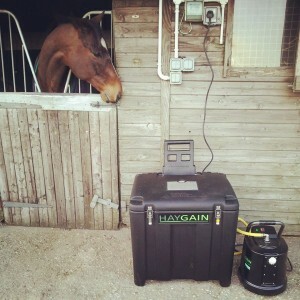 2/ Make sure your horse has a clean, well ventilated, dry stable that isn’t in close proximity to stored hay or straw. 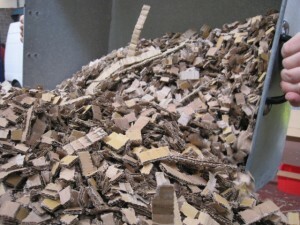 Take the droppings and wet out every day to avoid ammonia vapours. 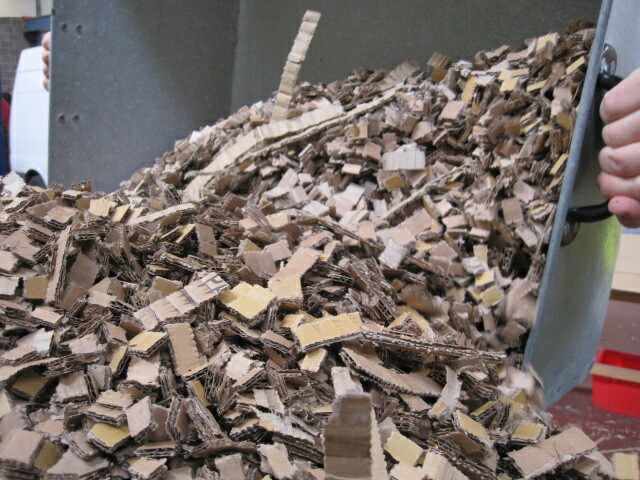 3/ Use spore free bedding such as paper, cardboard, or shavings. NOT flax or hemp or any other plant based bedding which will contain spores. 4/ Steam hay to kill spores so that it is safe to feed. Eating spores will not cause a problem, inhaling them is the issue.